Direct from the heart of one of Colombia's highly developed coffee-growing regions, we've gone to great lengths to bring you the perfect cup of Colombian coffee. 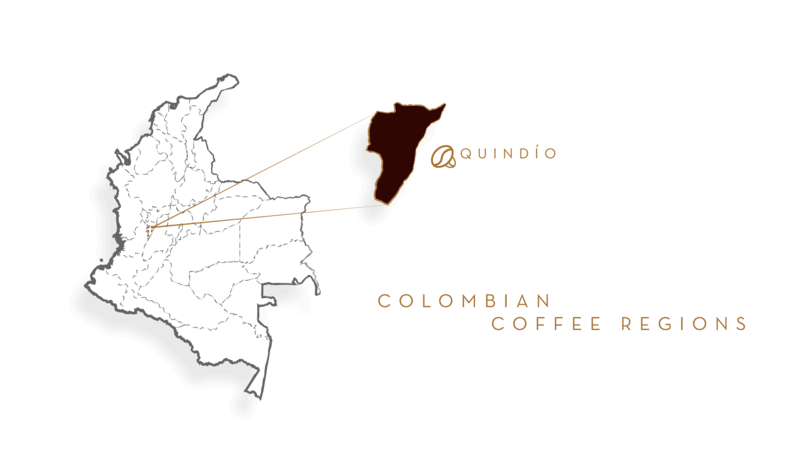 Our Quimbaya Blend comes from the Quindio Department of Colombia, deep in the heart of the "coffee belt." Hints of honey and flavors of sweet melon will surprise you, while the perfect balance of citrus will leave you marveling at its clean finish.